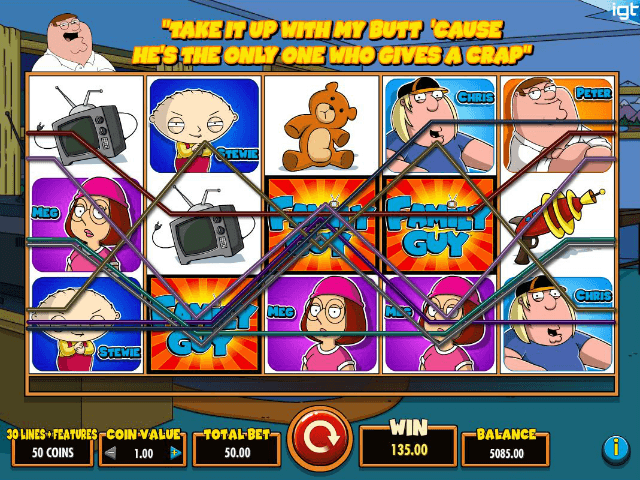 Family Guy online slot game is a hilarious spin on Seth McFarlane’s career-defining adult animated TV show. 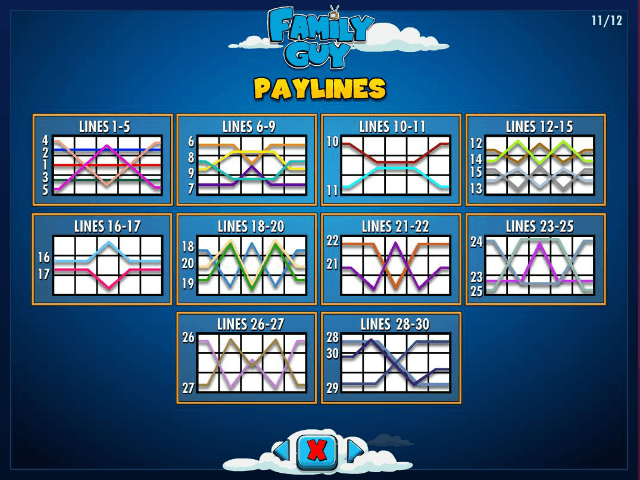 The five-reel, 30-payline game has been drawn together by IGT, and features lots of one-liners from the show’s cast of characters. Check out this Family Guy guide to see why you should definitely be playing along with the dysfunctional Griffin family. Welcome to Quahog, Rhode Island: home to Family Guy’s side-splitting cast of characters. You'll play along with Peter Griffin, his wife Lois, their children Meg, Chris, and baby Stewie, as well as Brian, their talking dog. The reels sit in front of the recognisable setting of the Griffin living room, although the game also visits Peter and Lois’ bedroom, and Peter’s favourite bar, the Drunken Clam. Software provider IGT has gone to painstaking lengths to recreate the risqué, oddball humour that has defined the TV show for well over a decade. Spinning the reels will start the Family Guy theme music, along with the cast shouting out some of their more infamous lines. The return-to-player (RTP) rate can range from 92.50% to 96.05%, which added to the entertainment value and the sheer number of bonuses makes this a worthwhile game, even if you're not familiar with the Family Guy TV show (or if you are a bigger fan of American Dad!). 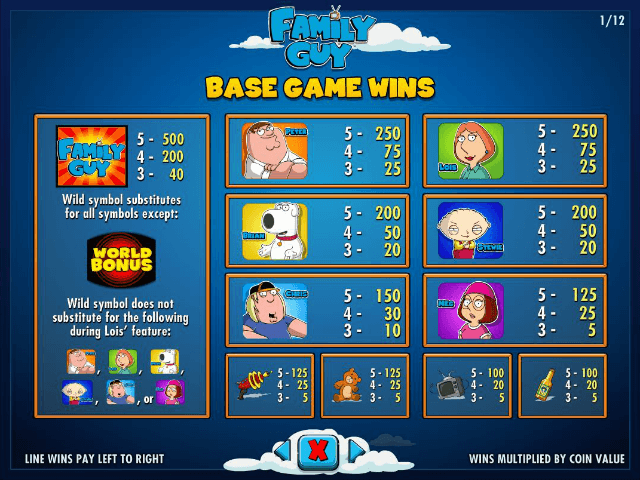 This Family Guy online slot features the main cast of the Griffin family as its symbols, although fan favourites such as Quagmire and Cleveland pop up during the course of the game. If you land a winning payline with any of the cast, they become animated. For example, striking several Peter Griffins and the reels show a colourful montage of him changing into different costumes, from an astronaut to a burlesque dancer. 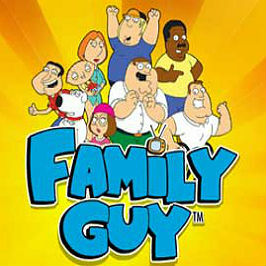 The Family Guy logo acts as the Wild, and can be doubled for any icon except for the World Bonus feature. If you are fortunate enough to land the World Bonus symbol anywhere on reels two, three and four, you will be whisked away to Stewie’s bedroom. Here he will demand that you spin a globe, with three destinations indicating the three different bonus rounds you can enter. The first is Lois’ Hot Free Spins, which mirrors the cartoon’s fondness for showing its characters engaging in embarrassing bedroom antics. You start with ten free spins, with the aim of collecting hearts, which fill the Lois meter below the reels. Fill it, and her symbol turns wild for the rest of the free spins. There is also Quagmire’s Giggity Retriggity symbol, which grants you an extra five spins if it lands on the middle reel. You can only do this six times for a maximum of 30 free spins. The second bonus stage in the Family Guy slot is the Drunken Clam, where Peter and his three friends – Quagmire, Cleveland, and Joe – are regulars. You need to nominate one of the four to remain standing while drinking from a beer tap of your choosing. The beer tap will reward the players still standing. This continues until your character passes out, which can be well over ten rounds. The final bonus is the Chicken Fight, a reference to the ongoing joke that Peter randomly fights a human-sized chicken around the world. You can bet on Peter or the Chicken to win the fight over three rounds. If your fighter wins after each round, you can choose money bags that tie to a prize multiplier. 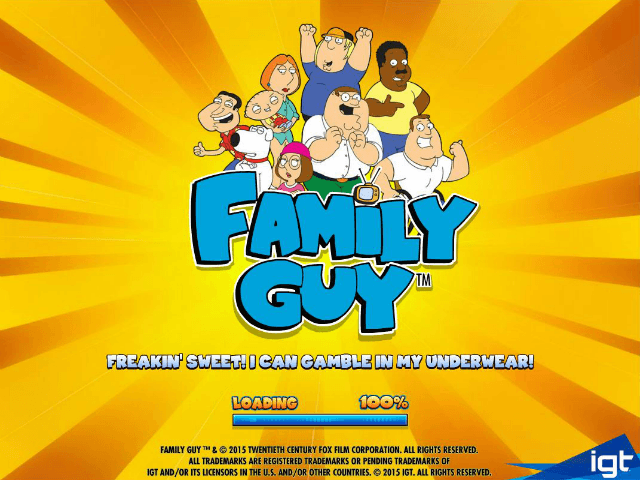 If you like Family Guy - You'll like these slots too!